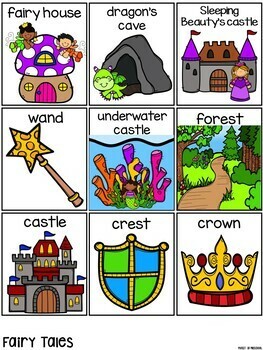 Fairy Tales I Can Build books and anchor charts is an easy and manageable way to add STEM to your classroom with CLIP ART images inspired by various fairy tales. Blocks and manipulatives gives students the opportunity to be creative, problem solve, develop math concepts, develop eye hand coordination, develop fine motor (if the blocks are small), and develop inquiry skills (STEM & STEAM). Add a literacy component and have students draw and write about what they plan to build on blueprint paper or sketch pages. 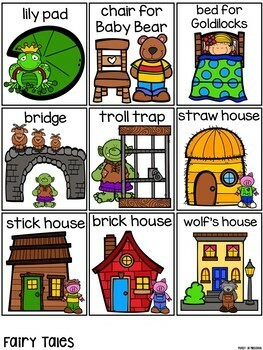 The fair tale challenges for the following books are included: Three Bears, Three Billy Goats, Three Pigs, Gingerbread Man, Red Riding Hood, Little Red Hen, Frog Prince, Snow White, Little Mermaid, Rapunzel, Cinderella, Sleeping Beauty, Princess and the Pea, and general fairy tale themed challenges. This product is included in my STEM I Can Build Bundle! Save over 20% and buy the bundle! •	Full Page Book: Print the full size pages, laminate for durability, and combine with a book ring. Place in the blocks center, library, or with building supplies/bins. •	Mini Book: Print the small cards, laminate for durability, and combine with a book ring. Place in or with various building supplies/bins. Great to use with early finishers, in any manipulative tub, math centers, science centers, and for indoor recess! 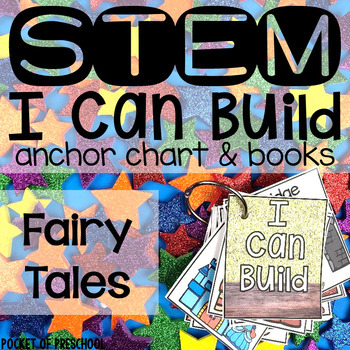 •	I Can Build Anchor Chart: Have a discussion with students and add each item to the chart. 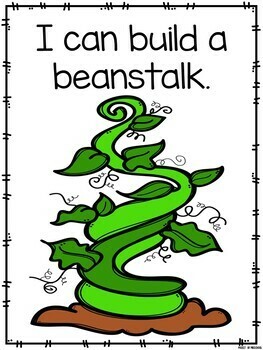 •	I Can Build Display: Print the pages and hand on your wall to inspire your builders and engineers! •	STEM Drawers: Don’t have room for a STEM center in your classroom. Create STEM drawers easily in your classroom. •	Weekly or Daily STEM Challenges: Easily create weekly or daily STEM challenges for your students. Teacher information pages, blueprints, sketch pages, STEM/STEAM Challenge Headers are the same in all STEM products. Go check out more STEM I Can Build!